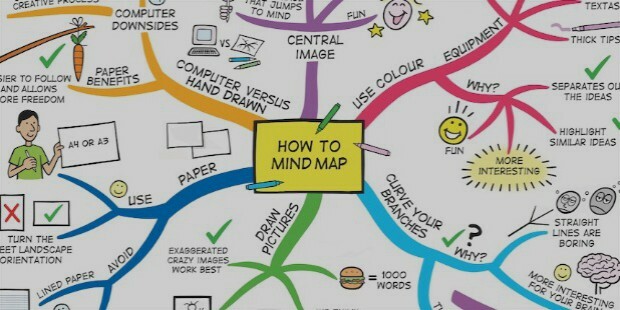 The term, Mind Map, was coined by a British author, speaker, and a memory expert, Tony Buzan. People have been using the concept of mind mapping since ancient times, but it was Mr.Buzan who popularized it and especially introduced mind mapping to the learning industry. Since then, thousands of educationists and organizations world-wide have realized the benefits and implemented mind mapping to represent information to their students and trainees. 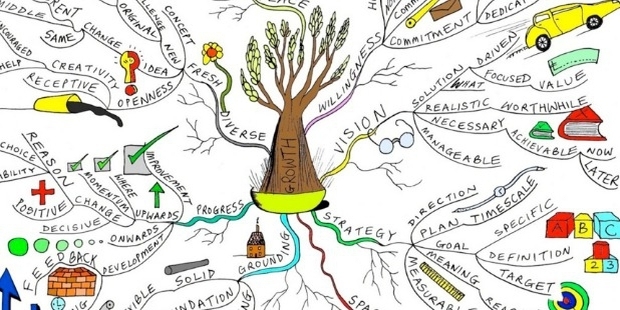 As the name suggests, a mind map is a map of your mind. It is the reflection of how your brain works. Now think about something, let’s say, an apple. When you are thinking about an apple, is apple the only thing on your mind? You also think about different parts of the apple, other fruits, other food items, and many other related things. Our mind thinks in layers and loves connecting different things. This is exactly how a mind map works. Mind mapping has proven to be a highly effective tool for learning. While it can be used to learn just about anything, its use in learning a new language has been remarkable. If you are struggling with learning a new language, these 8 ways of using mind maps can make your learning faster and fun! What do you find most difficult while learning a new language? You’d say learning new words, memorizing, and remembering them, using them in sentences, etc. Well, mind mapping helps you do all that, and much more, in the easiest and quickest way possible. Make your mind maps visually attractive. Use vibrant colors and write as clearly as possible. A mind map is supposed to make your job of learning easy, that won’t be possible till you make it easy to read and understand, as well. Our mind is better equipped to understand and remember pictorial representations as opposed to just words. Use pictures to describe your words. You could also use doodles, cartoons, sketches, or any type of drawing that helps you relate to the word better. People usually use a group of words to represent something in a mind map. That’s not the best way to learn. How will you test whether or not you remember a word, if the meaning is right there in front of you? Write one word in the center which will be the main topic; categorize this word into different words or types of words. For instance, let’s choose the main theme as Food. You categories would be Vegetables, Fruits, Cereals, Pulses, Desserts, etc. which would be broken down to further sub-categories. Use only one word, whether you are learning new words, or trying to form sentences in the language. Let your mind work out the meaning of the word. Mind mapping is an excellent way to revise what you’ve learned. You could take one topic each day, and use a mind map to write them all down. Next day, before you begin, all you have to do is take a quick glance at the map and everything you learned will play in your mind. Also, mind maps are easy to carry than a book and you could take them wherever you want. You could condense the information spread over a few written pages into one sheet of mind map. Make the most of this and whenever you get free time, scan through one of your maps. As mentioned before, the biggest challenge in learning a new language is remembering what you’ve learned. The key is to revise, revise, and revise. You create your mind map for you. A mind map is the map of “your” mind and it might be different from another person’s map. As far as possible, do not let someone else create a mind map for you. Customize your map using your experiences. For instance, if a festival reminds you of something special that happened in your life, you could use a picture depicting the incident. If you are learning from a book that uses mind mapping techniques, replicate those maps in your notebook. Doing this also gives you a chance to customize them the way you want. When you write a word and draw the picture, your mind remembers your thought process behind it. This is unlikely to happen when you simply write down the word in your journal. Whether you are learning nouns such as names of food items, vehicles, different types of emotions, action words, or any other type of words, try to find a connection between them and group them together in the map. 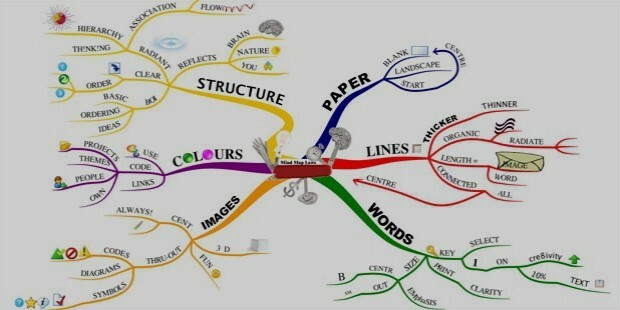 Your mind thinks in a pattern and one of the advantages of mind maps is that it works in a similar way. Although, mind maps can cover lot of information, you are free to decide how much you want to include. If you have just started learning a language, you might want to take it slow. Gradually, make your maps dense by increasing the information you store in each map. That way, your mind adapts to this new method of learning and will be ready to take in more words with each mind map. Mind maps are not just great tools in learning but also in testing your learning. Use mind maps to test your skills such as sentence formation, finding the synonyms and antonyms, testing your vocabulary, and so on. This is a great tool to fast track effective learning. It gives you the freedom and flexibility to use it the way you want. Use it to your advantage and within no time, you will be an expert in that new language you’ve always wanted to learn.